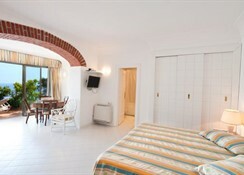 Boasting an idyllic setting overlooking the sea, this charming hotel is located just a 5 minutes' driving distance from the heart of Positano. Guests will find themselves just a short driving distance away from the charming towns that the Amalfi Coast has to offer. 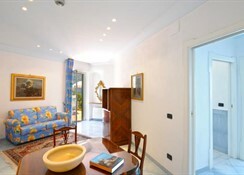 Guests can take a trip to Sorrento, Salerno or Naples with ease. 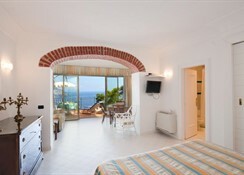 Guests can take a ferry to the captivating islands of Capri and Ischia. This delightful hotel extends a warm welcome to guests upon arrival, greeting them with hospitality and excellent service. The guest rooms are tastefully appointed, offering a relaxing home away from home in which to unwind. Guests are invited to dine in style in the restaurant, where delectable culinary delights are served. 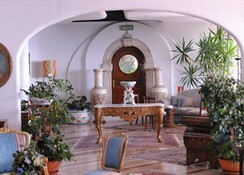 Guests are afforded a number of excellent facilities at this hotel. 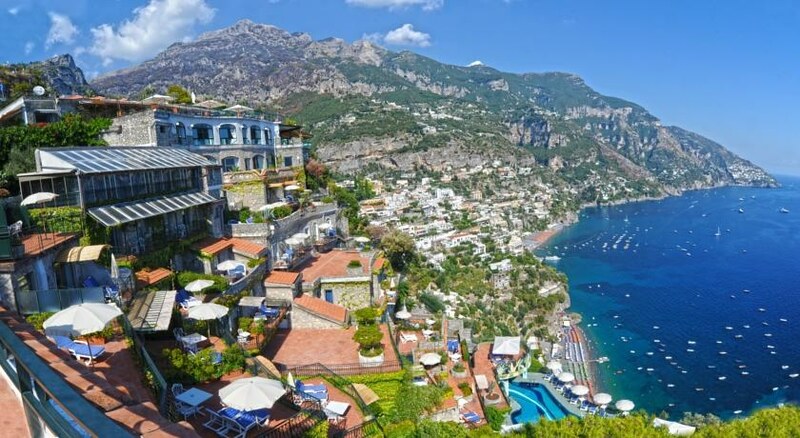 On the magnificent, world-famous Amalfi Coast, 5-star Le Agavi Hotel offers some of the finest panoramic views in Italy, if not the entire world. It's in the spectacular resort of Positano, which became a prosperous maritime centre by the Renaissance era and has been featured in numerous high profile films throughout the years. Whether guests are planning a corporate event or another special private function, few venues can match the opulence and prestige of Le Agavi. All guests are welcome to relax in the outdoor swimming pool, soak up the sun on the terrace while admiring the glorious views of the Mediterranean Sea, or spend some time in the luxurious, fully equipped spa. 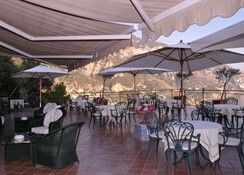 The hotel also serves outstanding local cuisine at its ambient restaurant, an excellent selection of premium wines and other drinks and snacks, and a free shuttle bus to the centre of Positano (hourly). In addition, guests can hire the hotel's state-of-the-art conference halls, which can accommodate up to 300 people and are suitable for major corporate functions. As would be expected of a luxury establishment, all rooms at Le Agavi feature a spacious terrace or balcony with delightful sea and mountain views, deluxe furniture, and top-of-the-range bedding. Rooms and suites also have a superb private bathroom, air conditioning, a satellite TV and telephone, free internet access, a mini-bar, free toiletries, an alarm clock, and a hairdryer.